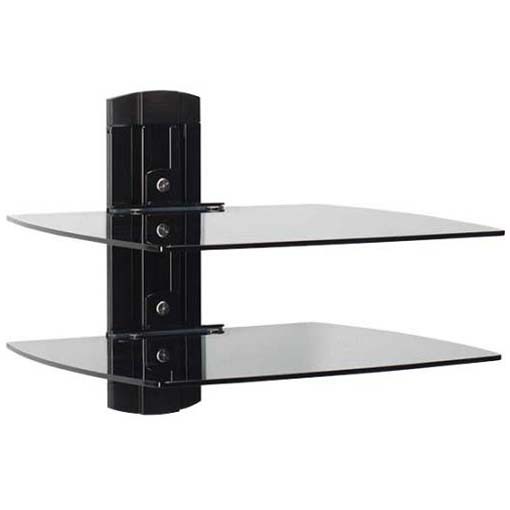 More on the Sanus Audio Video Component Wall Shelf System (Black Glass) VF3012B1 below. 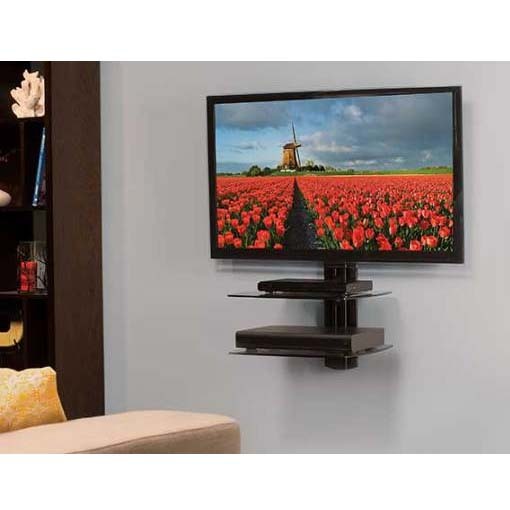 The SANUS Vertical Series VF3012 on-wall component shelves mount directly under mounted TVs for a sleek, streamlined look. Made for a custom setup, the shelves are adjustable to perfectly accommodate your components. 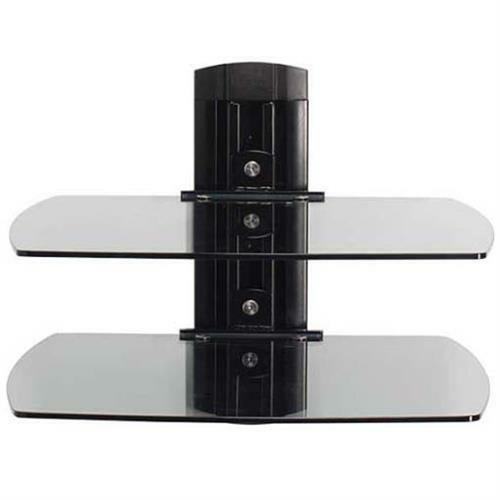 Made of thick tempered safety glass, these shelves will each support up to 15 pounds of your equipment. This is the best shelf for your unique AV setup. Made of tempered-glass, the VF3012 shelves are strong and safe, supporting up to 15 pounds each. Total weight capacity: 30 pounds overall. 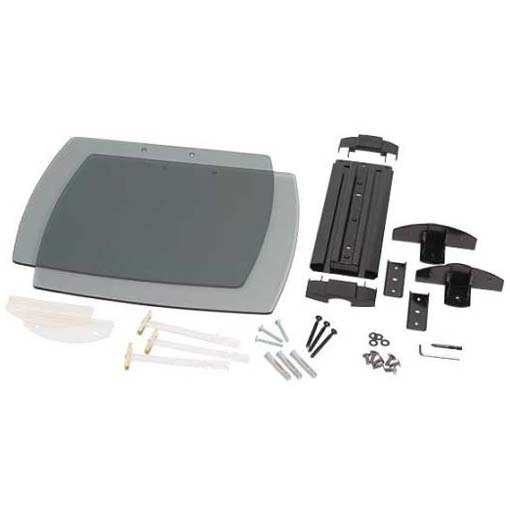 All hardware is included for a quick and painless install process. Also available with a single shelf, see the VMA401B1 in related products below.